King Mickey and Yen Sid prepare for an impending threat by putting Sora and Riku through the Mark of Mastery exam. 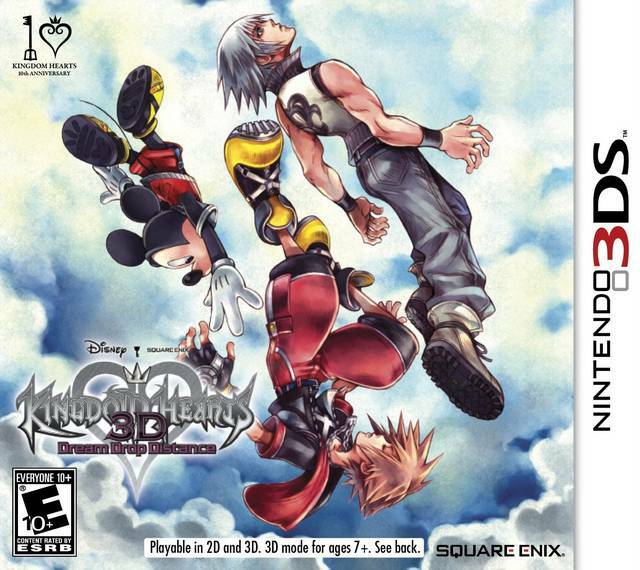 Sora and Riku are sent into the Sleeping Worlds, where they will face enemies and allies that have never been seen before. If they can successfully complete the task they are given, they will be deemed true Keyblade Masters. Creatures called Dream Eaters inhabit the Sleeping Worlds, and are split into two categories: Spirits and Nightmares. There are over 50 types of Spirits that can become allies and fight alongside Sora and Riku. With brand-new gameplay features, worlds and creatures, KINGDOM HEARTS 3D [Dream Drop Distance] continues the tradition of engaging entertainment. Purchased for my granddaughter for Christmas and she loves it. Only thing is that I guess I thought it would come with a container and it took longer then I thought. I recently got this game as a gift from a friend... and I have to say this game is amazing! The graphics remind me of the days of the PS2 and the game itself is just breathtaking with 2 different stories happening at the same time while also having to focus on when to use either character. 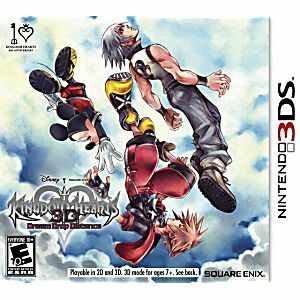 Iw ould definitely recommend this to any Kingdom Hearts fan (especially with the upcoming release of KH3) or any 3DS owner. It may take a bit of getting used to, especially with the 2 character/2 story mechanic but it is well worth it. It also cam as if no one had ever touched it and runs perfectly on my 2DS! This game here is why I will be returning to Lukie Games for many years to come!! !